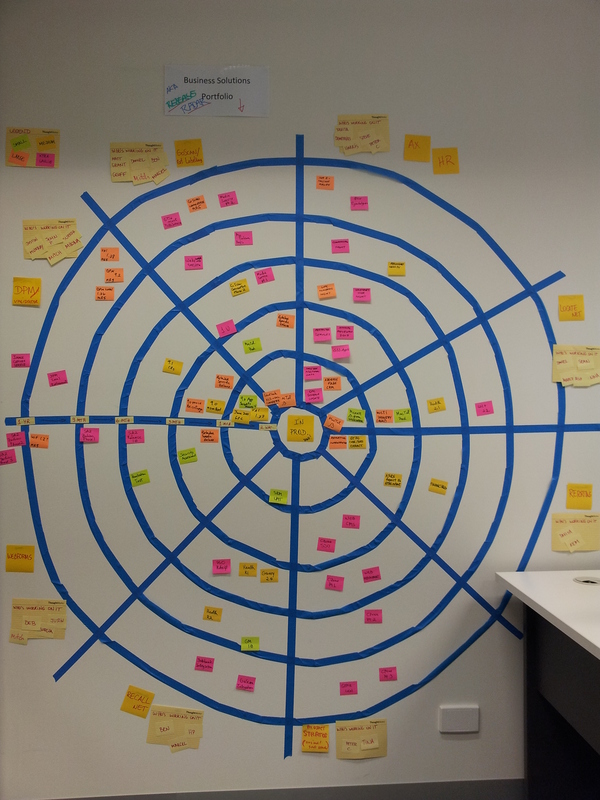 Agile teams use big visual indicators a lot, and often invent little hacks to make what’s really going on more visible, or to solve a particular problem. The great ones are not static: typically these hacks exist for a while, then fade away as other problems become more pressing to the team. A burn-down chart is a common example of a well-used Big Visual Indicator used by many teams to show progress towards a goal. But we think the most interesting hacks result from the collective creativity of a team solving their own problems. For us, it’s all about the physicality of cards on a board, cards you can touch, and see, and write on. Nothing abstract here! We’re fascinated by what teams hack together with blu-tac, stamps, bits of paper, string and stickers. If you look at a stationery catalogue and become irrationally exuberant, this site is for you. Looking around, we noticed that there wasn’t a place where the agile community could share and be inspired by board hacks. So we made Agile Board Hacks – a place where agile teams can come and see examples of hacks which address specific problems in a team. 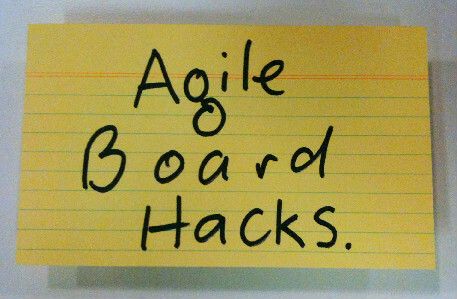 If you’ve got a hack that worked, no matter how big or small or what it’s for, send us an email (agileboardhacks) as we’d love to cover it! Fe: I’m an Agile Coach who loves helping teams to transform and grow using Agile and Lean techniques. After spending many years developing agile teams during my time as a project manager-come-scrummaster-come-sharpie-wrangler at Lonely Planet, and then spreading the Agile love beyond IT as a coach with Luna Tractor, I’ve now changed continents and am working as an Agile Coach at Spotify. Nick: I’m a lead agile consultant with a background in agile coaching and delivery in Melbourne, Australia. I currently work for Thoughtworks in Melbourne. Actually, in the last few years I have helped many teams use these techniques and processes outside of the software world, in fields such as IT operations, publishing and layout, mostly at Lonely Planet. Even legal teams! We would love to share your board hacks, or board hacks you have seen. We always give attribution for the hacks shown on the site. It’s important to note that this is our personal blog. Although Fiona currently works with Spotify and Nick for Thoughtworks, everything in this blog is our own personal opinion. In no way are the views of Spotify, Thoughtworks, or anyone else for that matter, represented here.